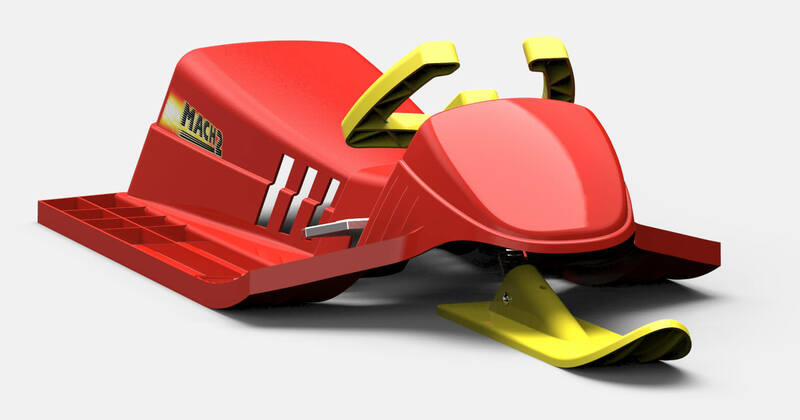 Tri-ski sled - Katz Design inc.
Its all about speed. Fast is good, and Mach 2 is fast. Monocoque construction provides structure, cost effectiveness and style in this steerable tri-ski sled. Aircraft style steering wheel, F-18 control panel, and braking system top off the Mach 2 sled.